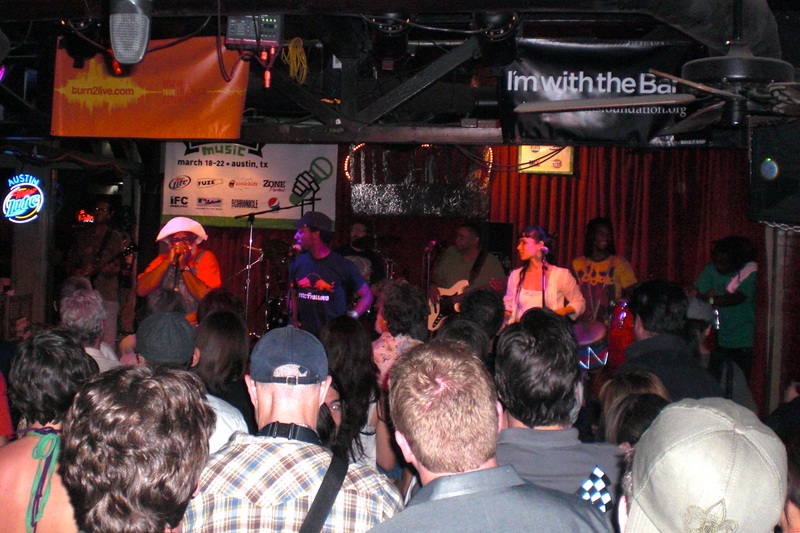 Day 2 (Thursday the 19th) of SXSW Music was spent at Momo’s. The theme was “All Music is World Music“. 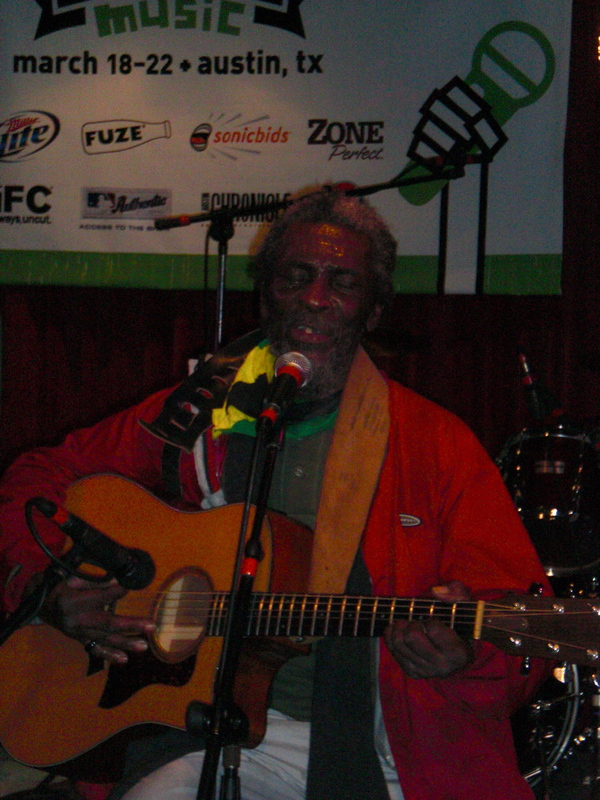 Kingman and Jonah: Reggae. Read their story here… interesting stuff. Sadly Jonah was sick and couldn’t sing much but they still put on quite the show. 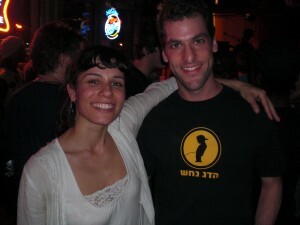 For some reason the bass player was wearing an IDF shirt. 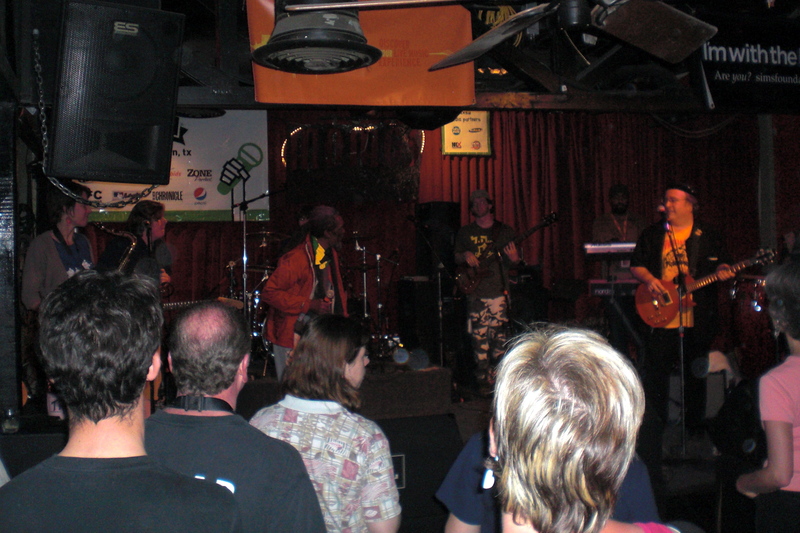 I only caught the end of the show because the SXSW organizers, those sons of a mother-less goat, made us stand in line outside for a while even though the bar was far from full. Videos, photos and the rest of the reviews below. Playing for change: Foundation, documentary, band. 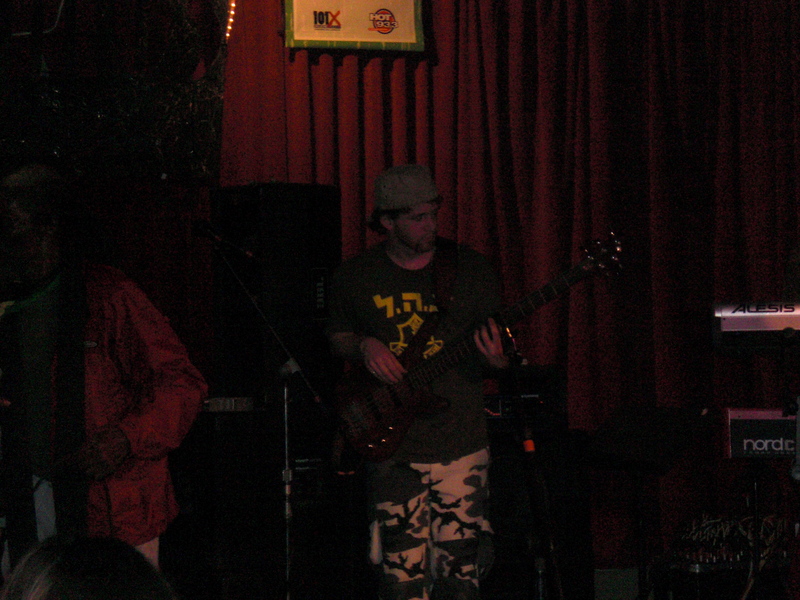 Amazing eclectic ensemble played a variety of styles. They have musicians from Congo, Zimbabwe, Holland, the U.S. and even a hot Spanish-speaking Israeli singer. You have got to check out the videos of Grandpa Elliott (New Orleans) playing the harmonica below. 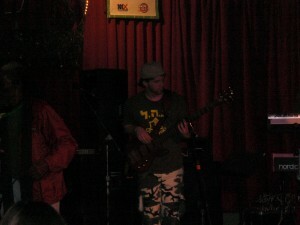 Tal "Tula" Ben-Ari of Playing for Change and The MKX® Special Envoy to downtown Marcos Kirsch. 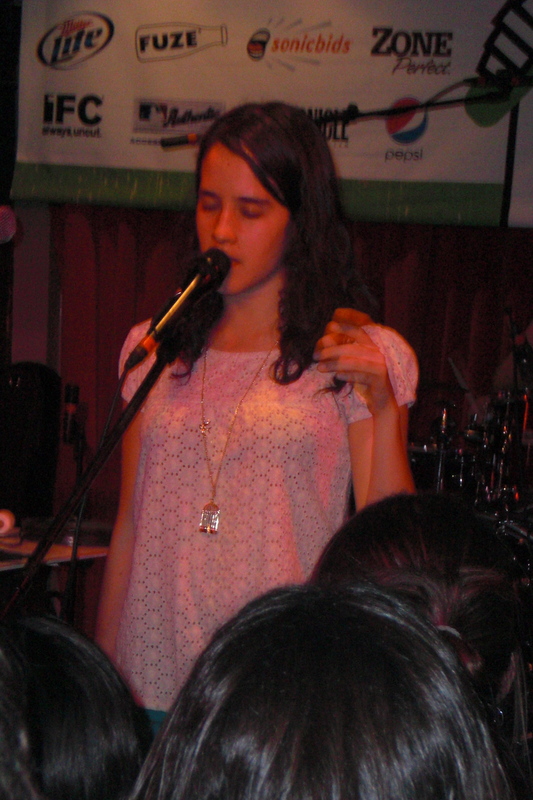 Ximena Sariñana: The evil Mariela from Mexican soap opera Luz Clarita is now a grown up solo singer. Her show was ok considering the brutal competition and the fact that she has only one CD.